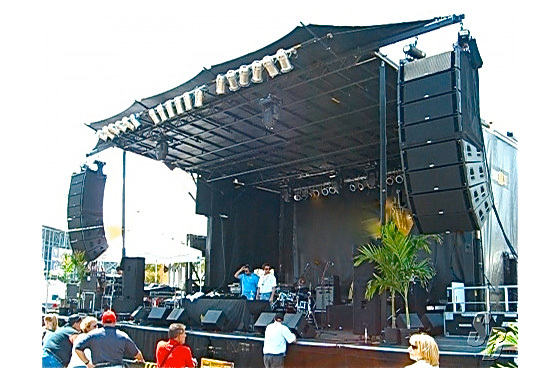 is proud to announce it is expanding and is now serving Florida! attention to detail you expect and deserve! Set up in 2 1/2 hours, Roof capacity 18,000 lbs. 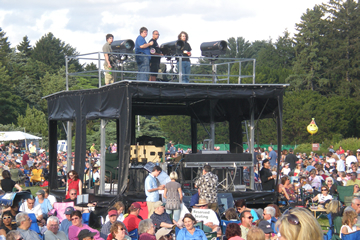 Max roof height of 26ft from the deck with 24 rigging points. Call now for more details, and to reserve yours today. 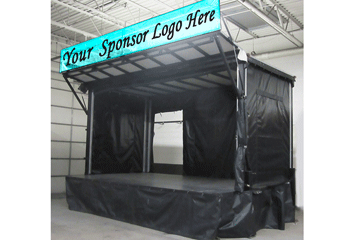 Shown with optional front banner bar extensions. 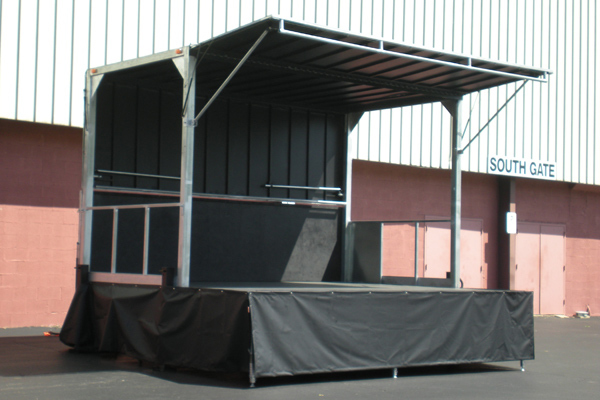 Optional: additional decking to increase the performance area to 32 x 32 covered. 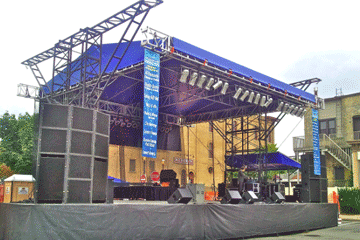 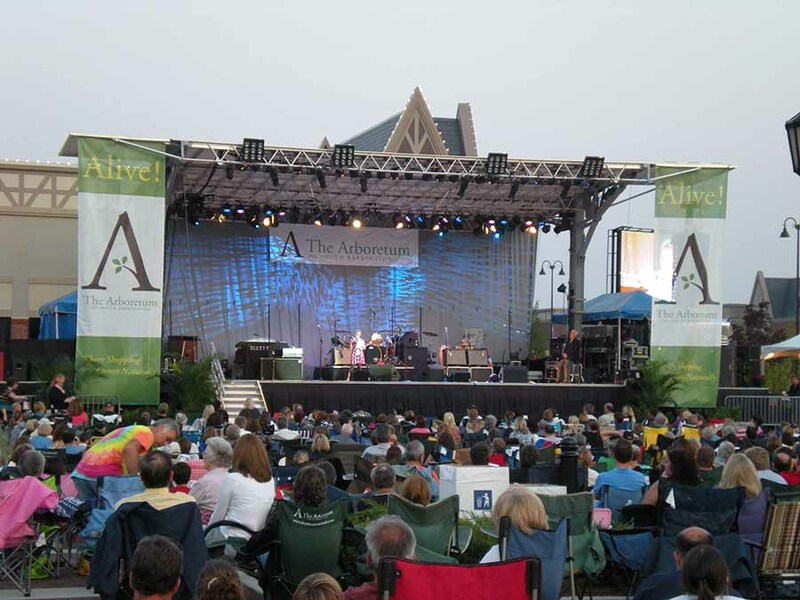 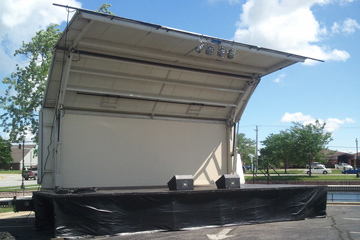 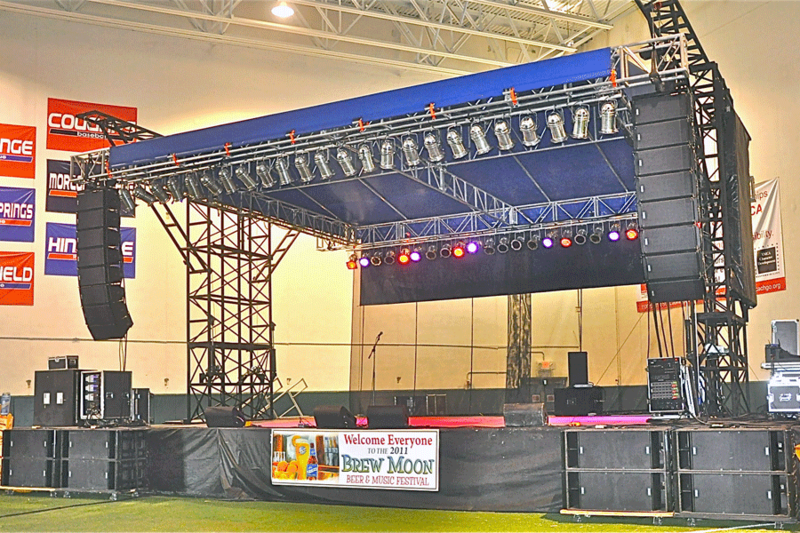 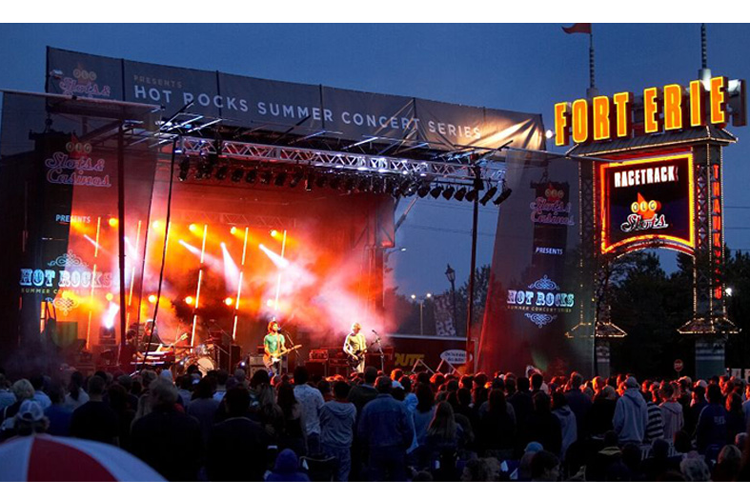 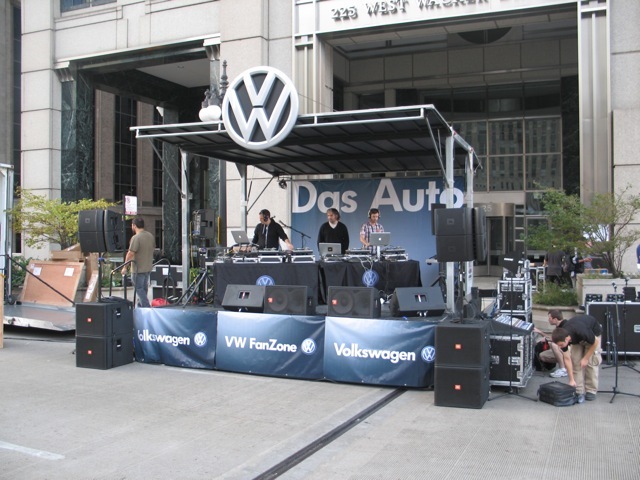 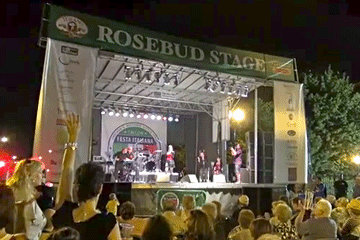 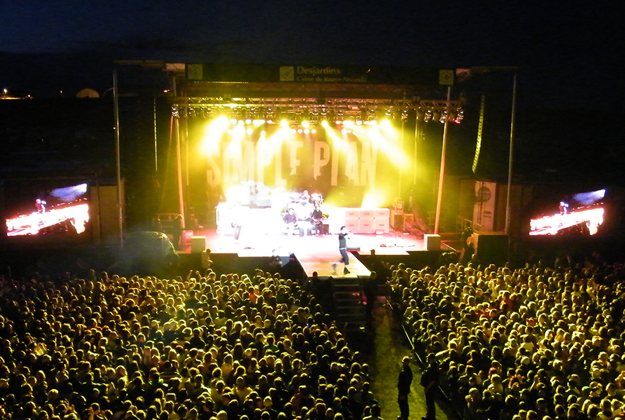 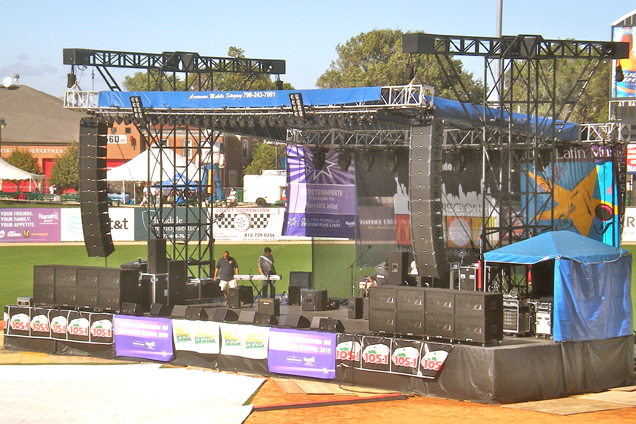 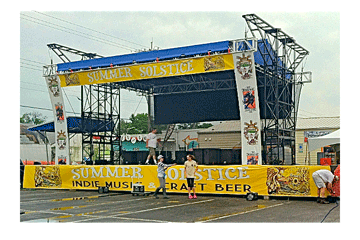 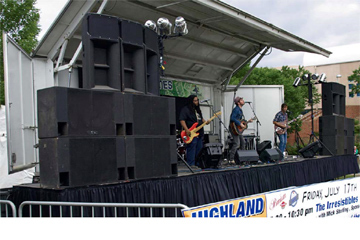 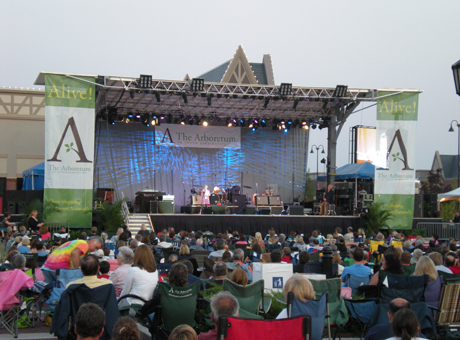 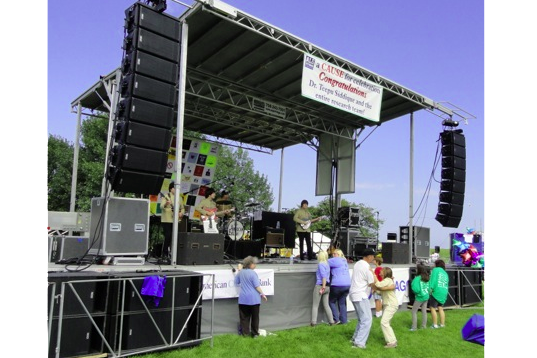 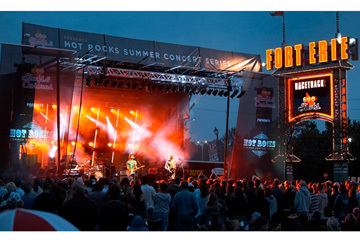 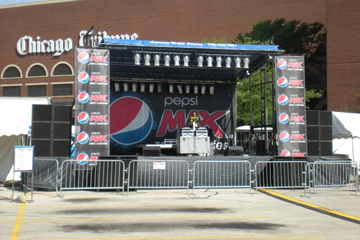 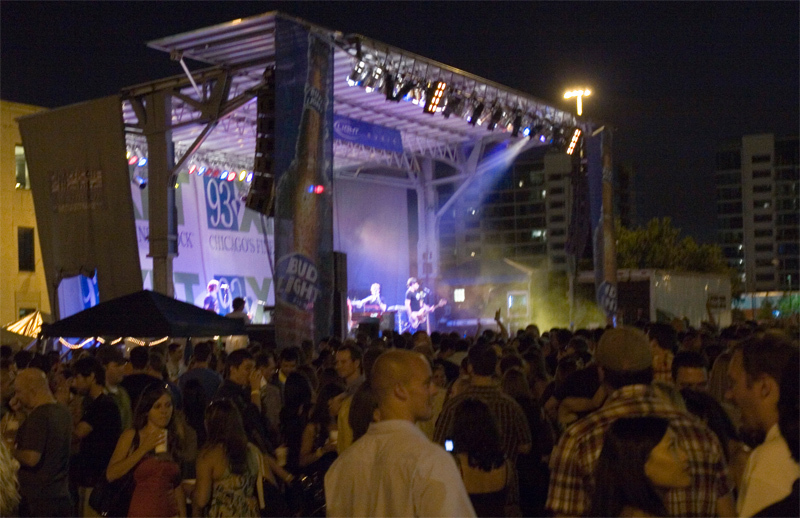 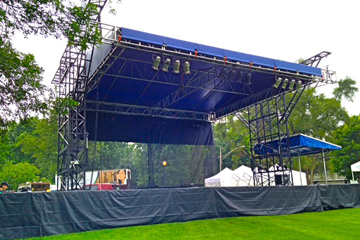 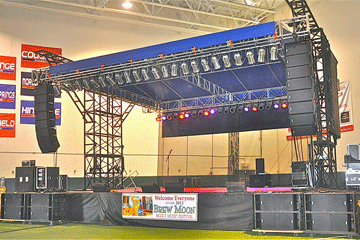 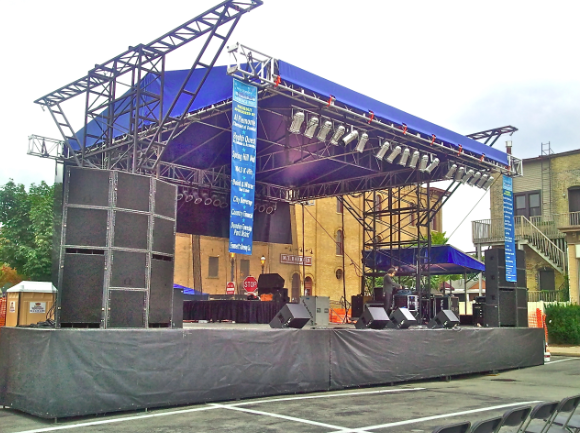 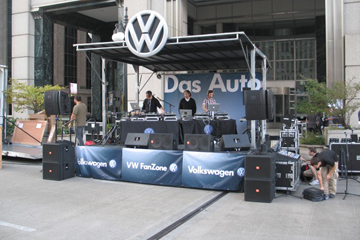 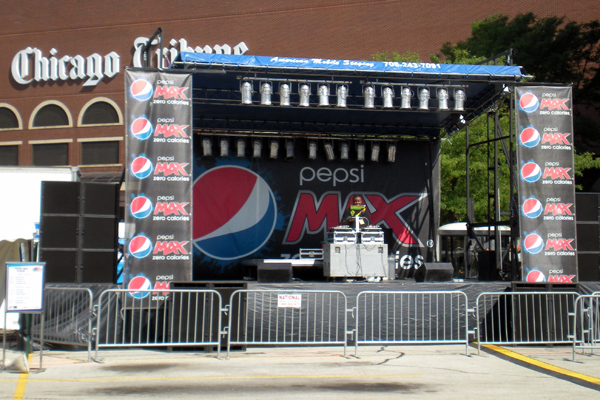 Stage can support a line array sound system. 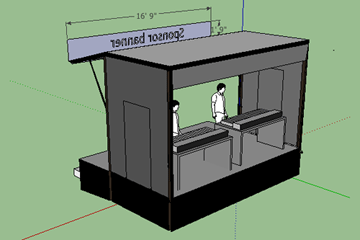 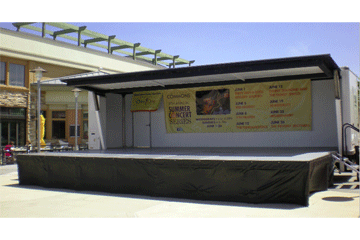 We can add 8 feet of decking on the front edge of the stage for a total performance area of 28' wide x 22' deep. 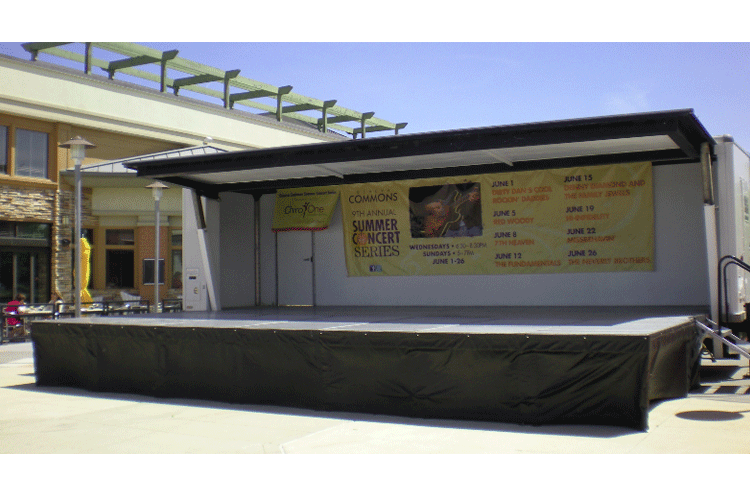 Here, the decking is shown for a dance performance. 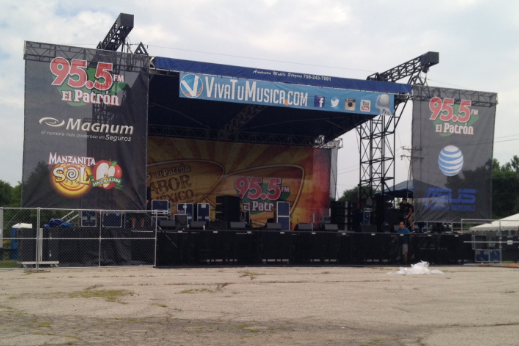 NEW this season exclusively for Illinois and Chicago Area! 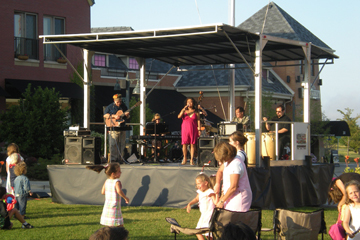 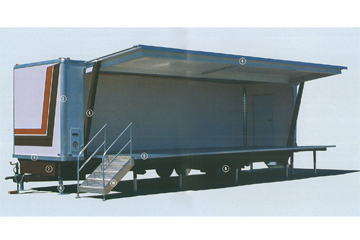 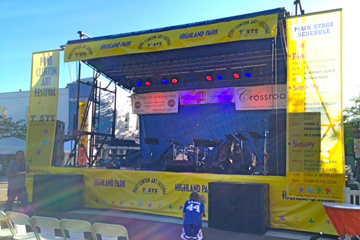 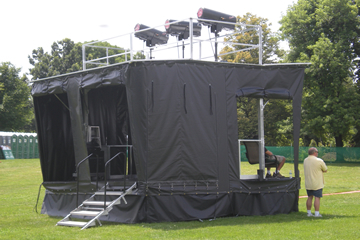 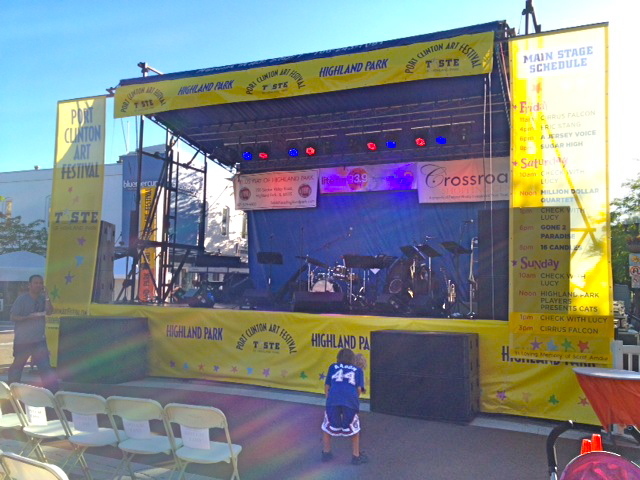 Our versatile mini stage is great for more intimate settings, smaller events or tight spaces! 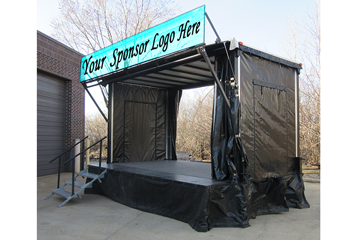 It's 36" stage height is perfect for a variety of applications, and it sets up in less than an hour! 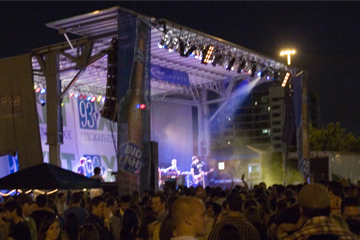 **this is not available in Florida at this time.